Hello hello! 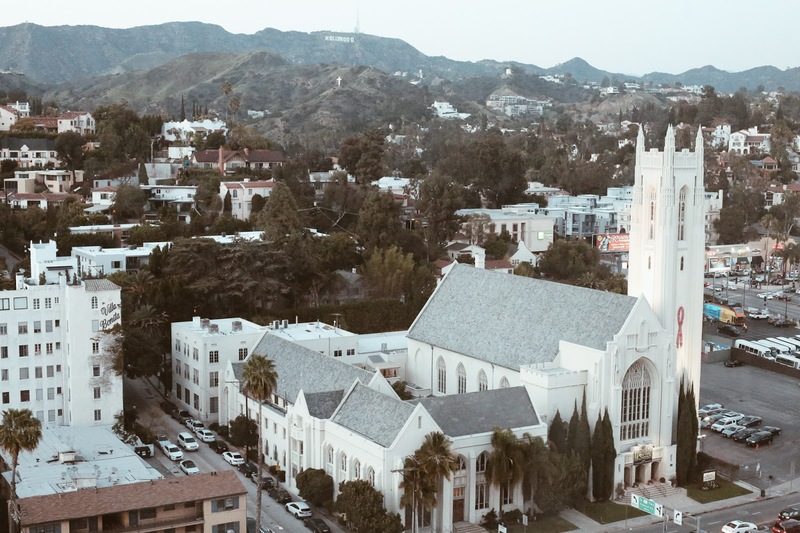 Today I wanted to write up a little guide to visiting LA, but, in true millennial style, I thought I'd write up my guide whilst featuring the top Instagram worthy hot spots in LA. 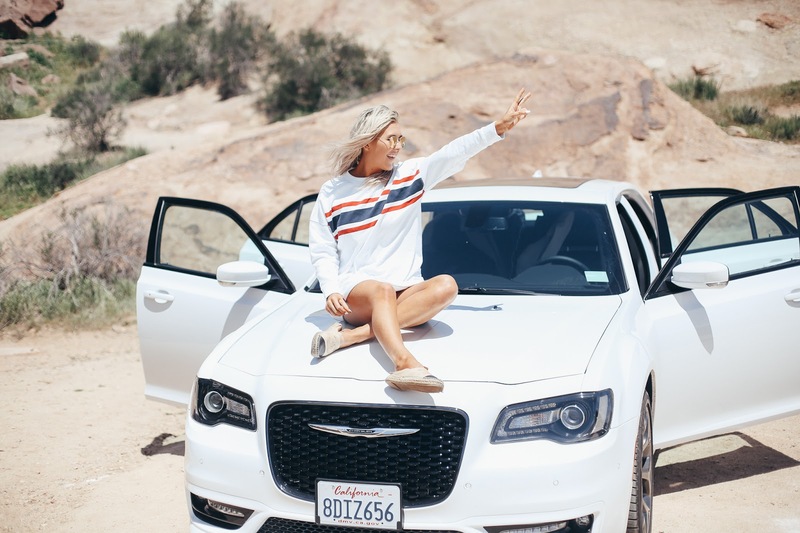 I'm gonna be totally honest with you and say, the first time I visited LA (read about my huge West Coast Roadtrip with route tips and plans if you missed it), I hated it. I got really bad vibes and just felt as if it was soulless and well, not for me. It was never on my list to re-visit but, you know what they say, you have to give things a second chance. I didn't think it would happen but on the way to a blogging bootcamp in Dallas we ended up staying in LA for a week. I'm well and truly converted now and finally get the 'LA hype'. I had the best trip to LA the second time around. I really do just think it's about knowing where you're going and having a good plan. I think having quite a lot of time in LA is good too, on our first trip, we were so rushed and this time around we had a solid week to properly get to grips with the city. I prefer to write city guides when I've really got to grips with a place and I'm finally getting there with LA. 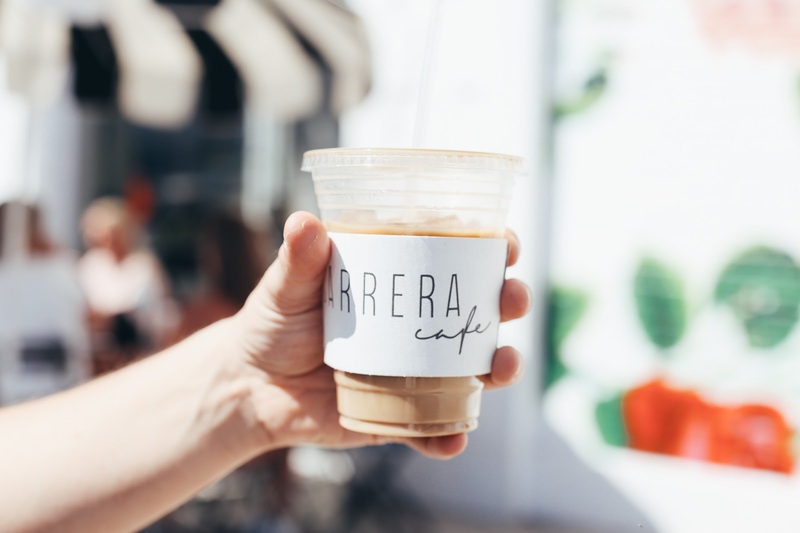 Now the rambling is over, sit down, get cosy and come to Los Angeles with me as I talk you through the Instagram hot spots and my favourite places in LA. 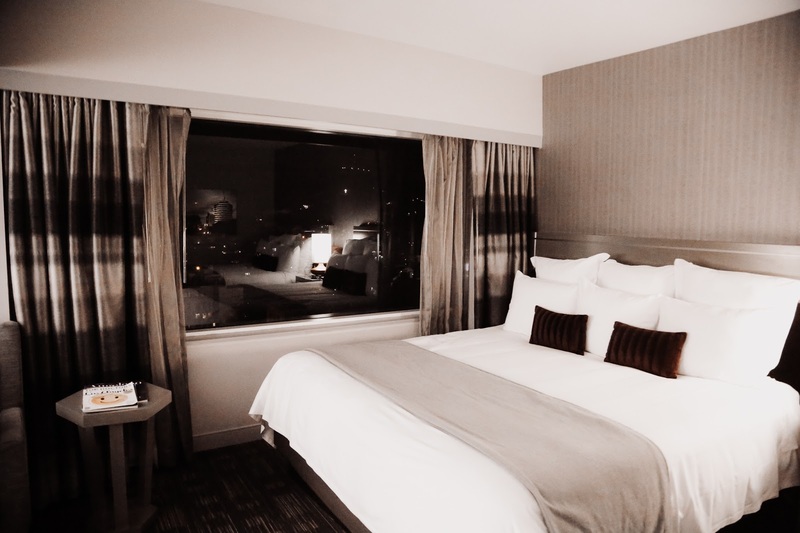 We checked into the Loews Hollywood after arriving at about 5pm (it took four hours for us to get from security to our hotel as LAX airport is not fun). However, I've decided arriving in a place at night (rather than getting a 5am flight) is better for me because it means I can sleep and wake up fresh the next day with no jetlag, it also means I get a surprise when I do wake up and see somewhere in daylight for the first time! Bright and early the following day, we woke up to an exceptional treat, that's for sure, with views of the Hollywood sign and Hollywood hills right from our window... this takes me onto my list, the best Instagram spots in Los Angeles and of course, if you follow me on Instagram I'm sure you'll recall a photo of me sat at this very window made the cut onto my feed. 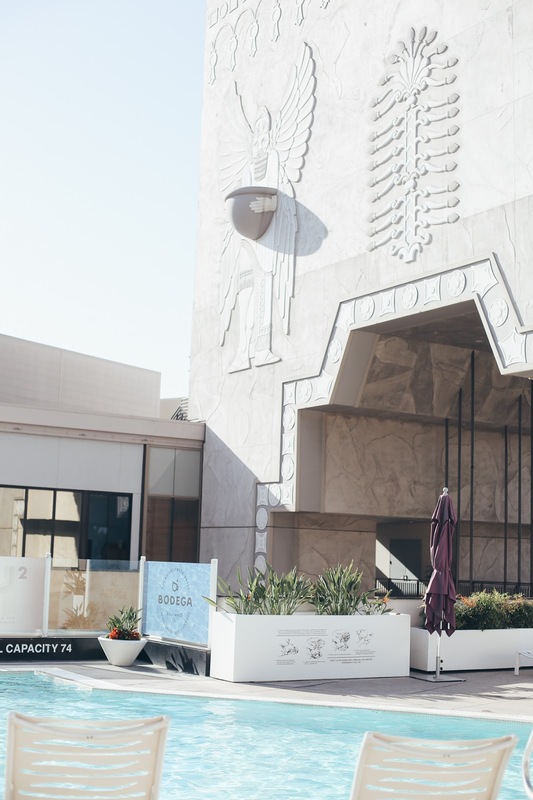 The Loews Hollywood - To be honest, I was scared when thinking about heading back to Hollywood after my first time there but I'm so glad we gave it another shot. It really is a good place as a base if you have a car and we did end up walking to a lot of places from the hotel. Most days, we'd drive directly from the valet at the hotel and within 20 mins we were where we wanted to be. 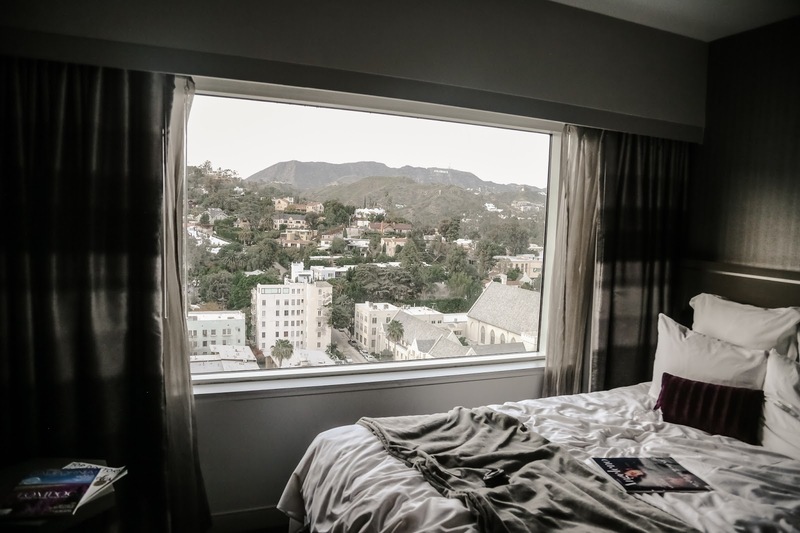 With their cloud-like, comfortable beds it was pretty hard to get up on a morning but when we did, we saw Hollywood from our window *pinch me* and then headed down to dip in the beautiful pool. I certainly wasn't the only one taking Instagram photos with this gorgeous backdrop. 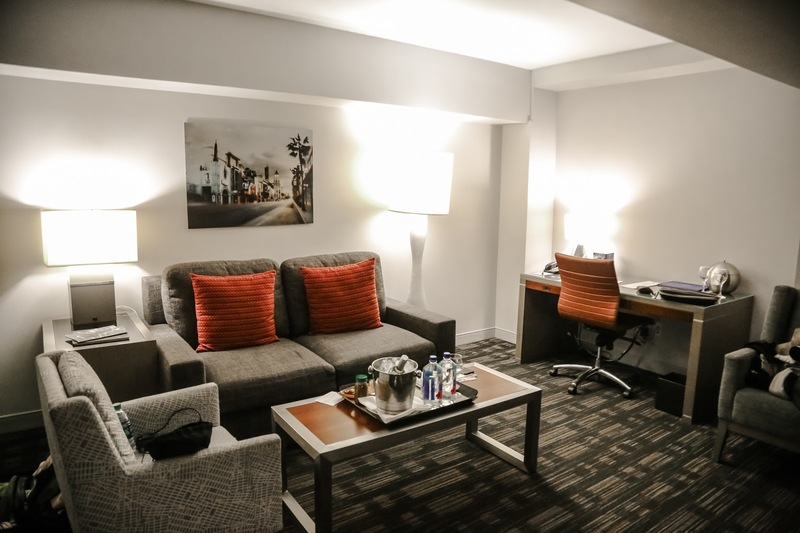 I have to say, as well as the views being exceptional and the beds being comfortable, the service at the Loews was incredible, the staff truly went above and beyond from the minute we arrived and they were so friendly too. Oh and if you like shopping, there's a beautiful mall and loads of restaurants next door too, mucho convenient. I'd highly reccommend the Loews Hollywood as your LA base! 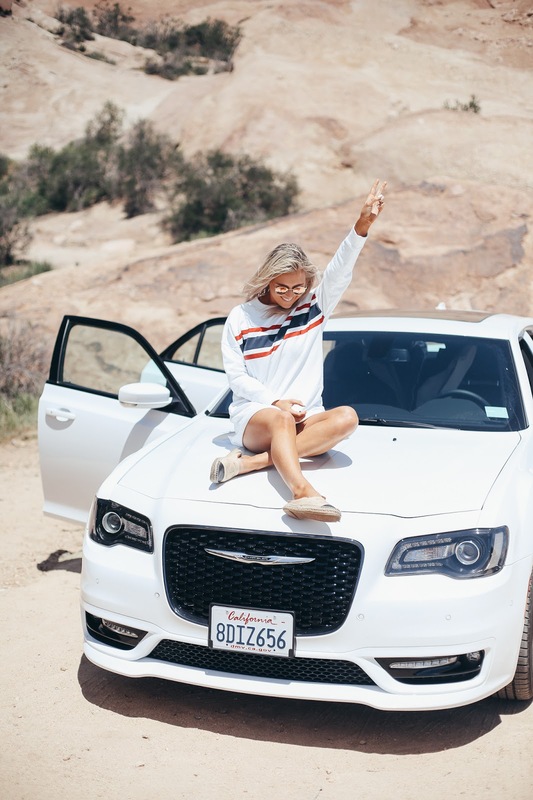 Hire A Car: If you're wanting to have a good time in LA and actually see as much of LA as possible, then I'd highly recommend hiring a car. We always hire with Hertz and it works out so well. I've added up how much it would cost if we got taxis around the city and well, it's a great deal more. The service at Hertz is always fantastic, I just wish I wasn't under 25 so I could hire a beasty car. This time we didn't do too bad though with our gorgeous Chrysler. As well as saving money, it's just good to be able to have the freedom, you can go down random cool streets if you see them, drive around until you find a peaceful area etc. I wouldn't ever go to LA without my own car after having the freedom of one. We used the valet at the Loews hotel which was so convenient every time we did need our car. Find The Views - I'm a real sucker for getting up as high as possible in a new place and looking down on it from above. Personally, I don't think there's anything quite as breathtaking as seeing the sunset or rise when you're peacefully looking down on somewhere. 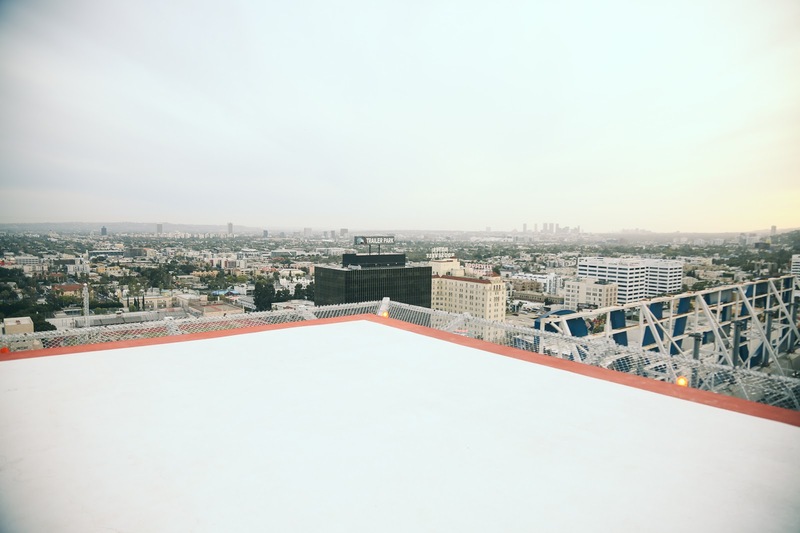 Last time, we headed up to the Hollywood sign which is obviously a must do but if you're lucky, book onto a yoga class on the helipad at the Loews Hollywood for the best 360 views of Los Angeles (it's like your own private view of the sign). 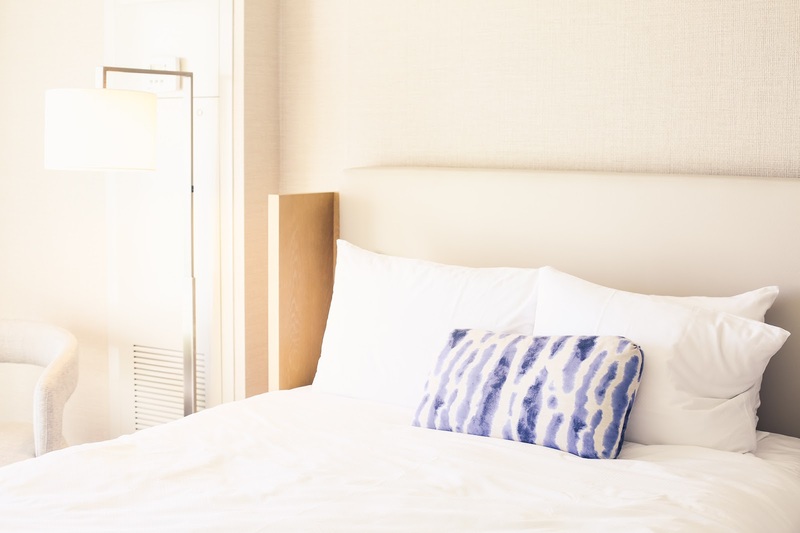 We didn't even need to leave the hotel for this Insta hot spot. I can't believe the Loews have this hidden gem right on their rooftop, they seriously need to turn it into a bar like the helipad bar in Kuala Lumpur! 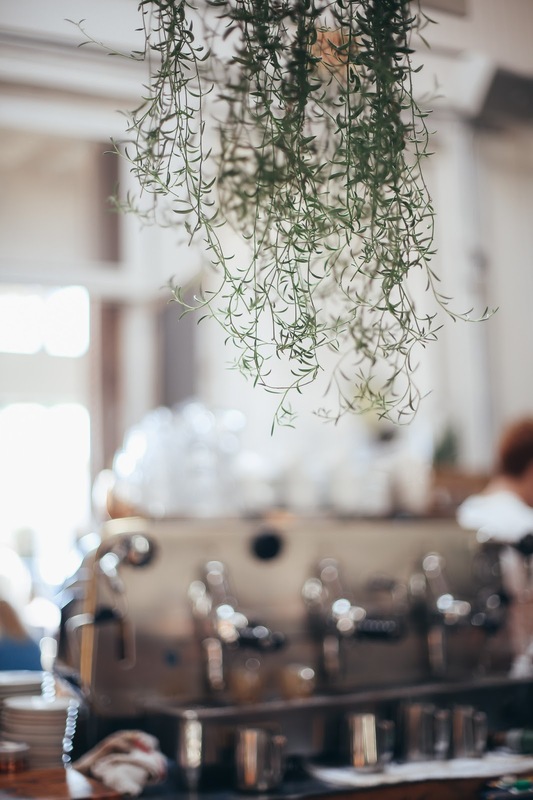 Silverlake - We headed down the road from the hotel to the most perfect cafe I've ever seen, Roo Cafe in Silverlake. 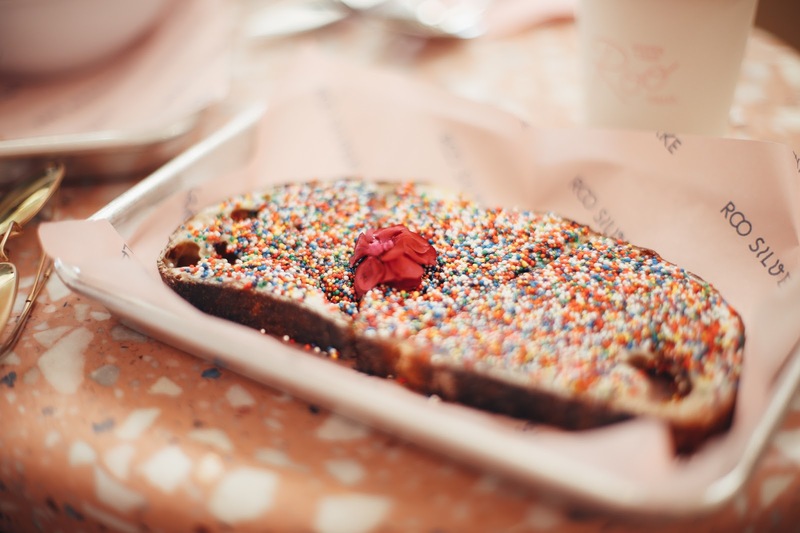 I'm a big fan of Aussie food and this is a new Aussie hangout serving fairy bread (order it, it's incredible). Silverlake itself has some cool art too if you wander around the streets, it's quite hipster but it's a cute little area for a breakfast stop. 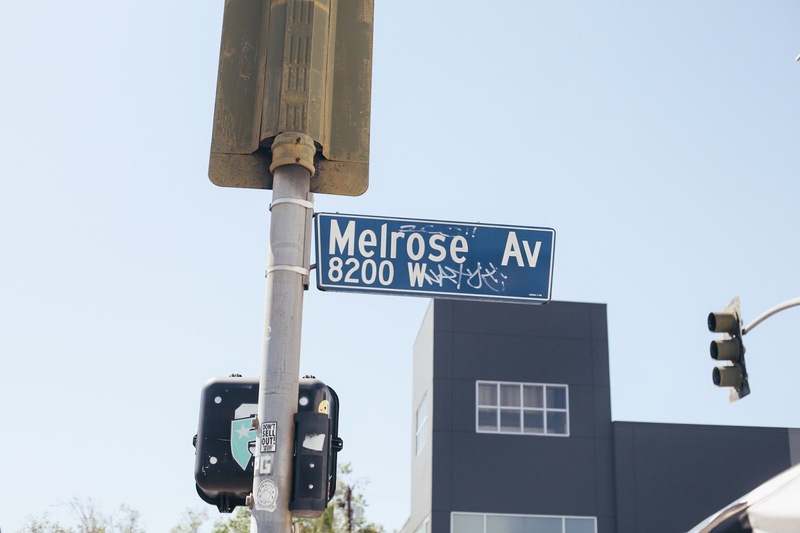 Melrose - I have to say, West Hollywood is my favourite part of LA. 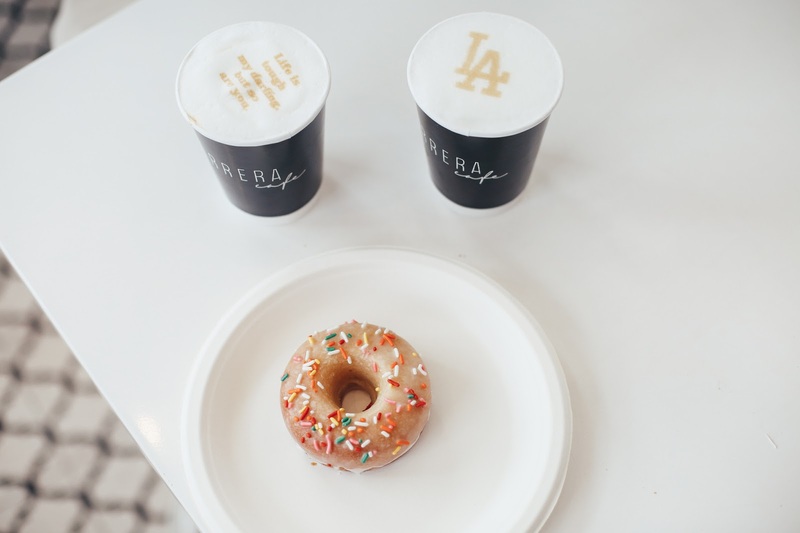 We drove down to Melrose Av on a number of occasions because it seems to be the home of epic coffee shops, beautiful backdrops (hello Insta goals) and the best brunch around. I'd highly recommend Alfreds Coffee, Carrera Cafe, Gracias Madre, Catch LA. 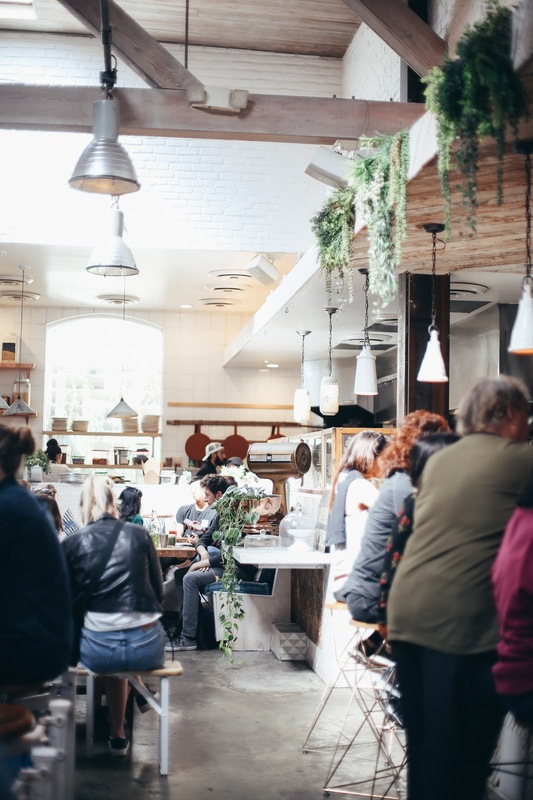 If you are looking for Instagrammable locations in Los Angeles, Melrose is most definitely for you. We grabbed far too many coffees on this street. The Pink Wall - Whilst you're on Melrose, make sure you check out what's possibly the worlds most Instagrammable pink wall. 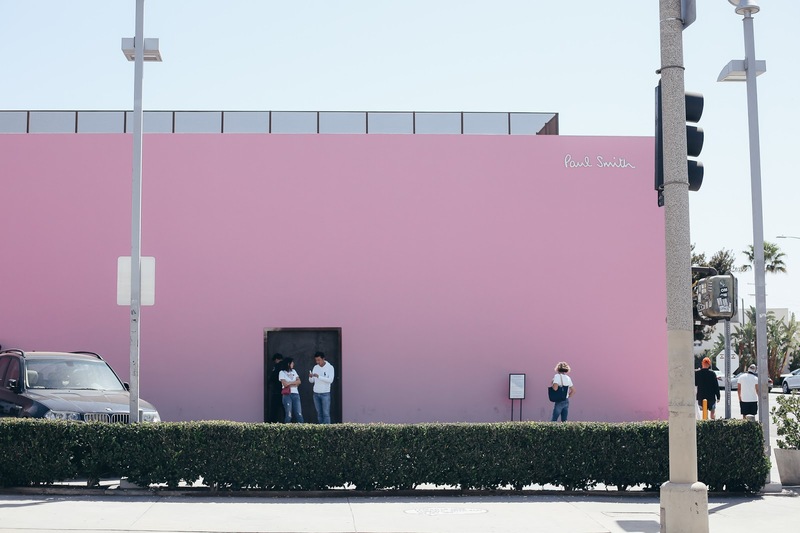 I'm half tempted to turn my garden into a pink wall and charge a fee for photos... but yep, the Paul Smith pink wall in LA always has a line of people waiting to get their Instagram shot outside. 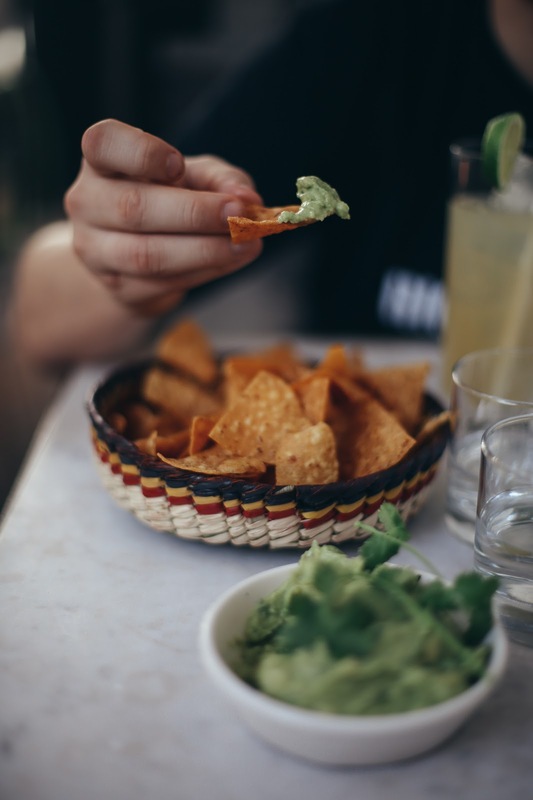 Gracias Madre - If you like quirky vegan restaurants, this is for you. 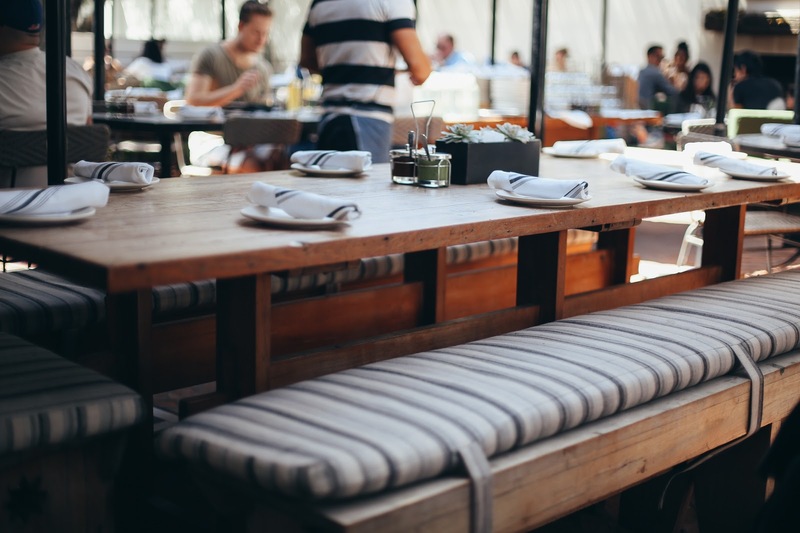 California is known for it's Mexican food but whilst you're on Melrose, be sure to stop here for a delicious lunch in the most beautiful, shabby chic setting. Love And Lemons - I found the Love And Lemons pop up store on 741 N. La Cienega Blvd and fell in love, this particular area has so many cute little shops and coffee shops so make sure you have a wander around, of course, grab a juice, latte or donut from one of the cute cafes too. 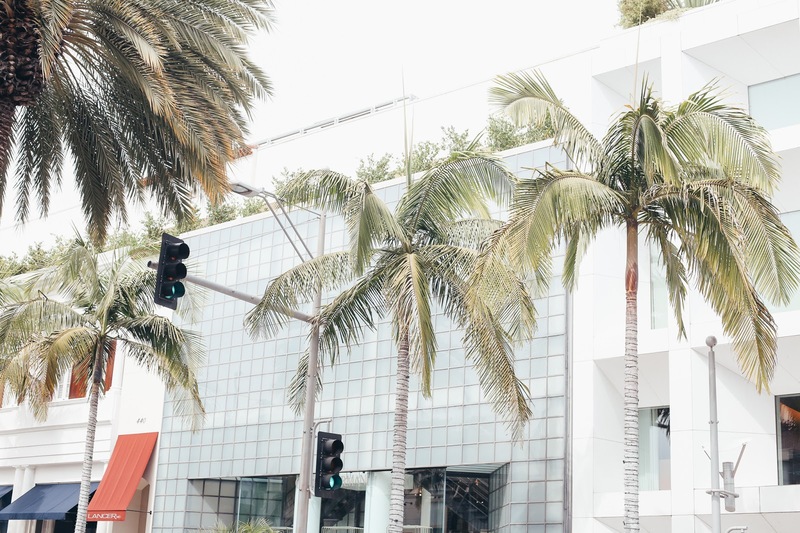 Rodeo Drive - You have to head to Rodeo Drive for the most Instagram worthy shops around. 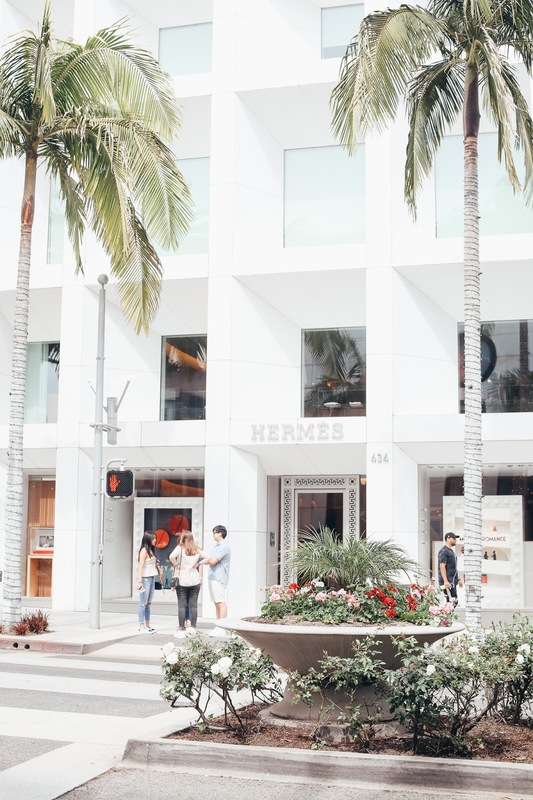 Rodeo Drive is such a beautiful part of Los Angeles even if you are just window shopping. Beverley Hills - You can't really do a trip to LA without going to Beverley Hills and wandering around the gorgeous houses and of course, heading to the Beverley Hills hotel. We ate at the Beverley Hills hotel on our first trip and it was the worst brunch sadly, maybe next time I'll give it another chance but it is worth at least going to see the beautiful hotel, you don't necessarily have to spend $100 on some blueberries mixed with ice to see the hotel itself. I'd recommend doing this whilst on Rodeo Drive (we didn't spend long there as the weather was way too nice to shop) as they're in the same area. 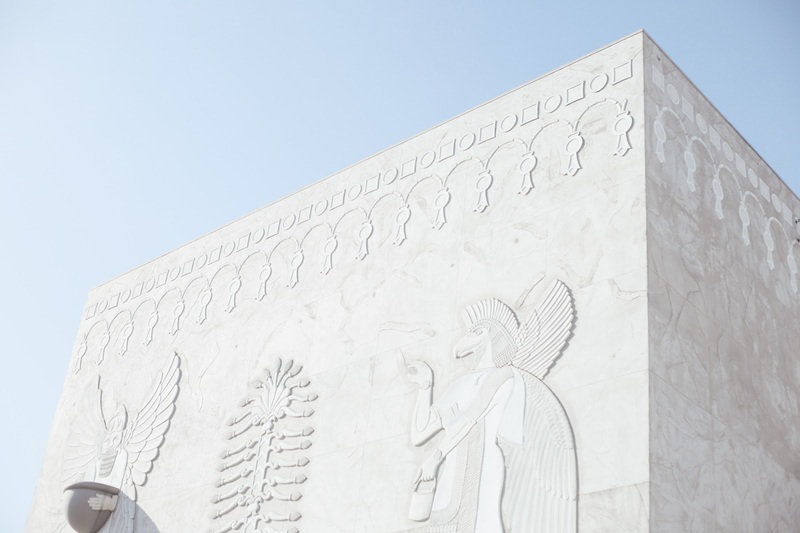 Park your car up and wander around them both and don't miss the palm tree-lined streets too. 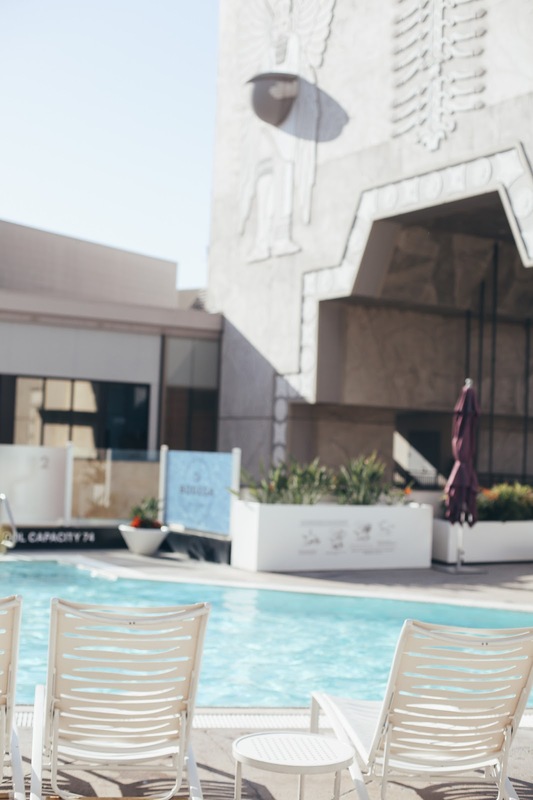 Shop the gym kit / - We were reluctant to leave our new home at the Loews Hollywood as we had such an incredible stay there, but eventually had to say goodbye. 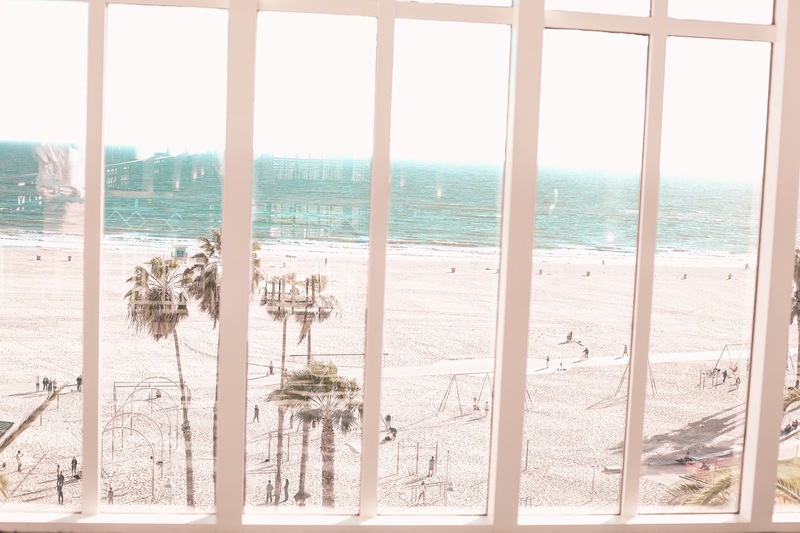 We hopped in our car and drove down to Santa Monica (it took about 1 hour in traffic... LA traffic is ALWAYS bad) and before we knew it, we were at a totally different side of LA. This is why I think you need a lot of time, as to drive to different places etc it does take a while. 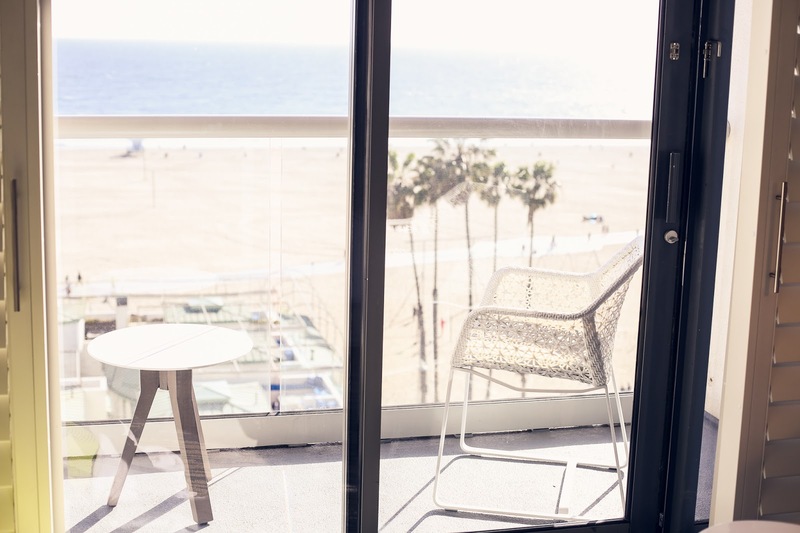 We checked into the stunning Loews Hotel Santa Monica, which felt like our very own little beach house. I was blown away. 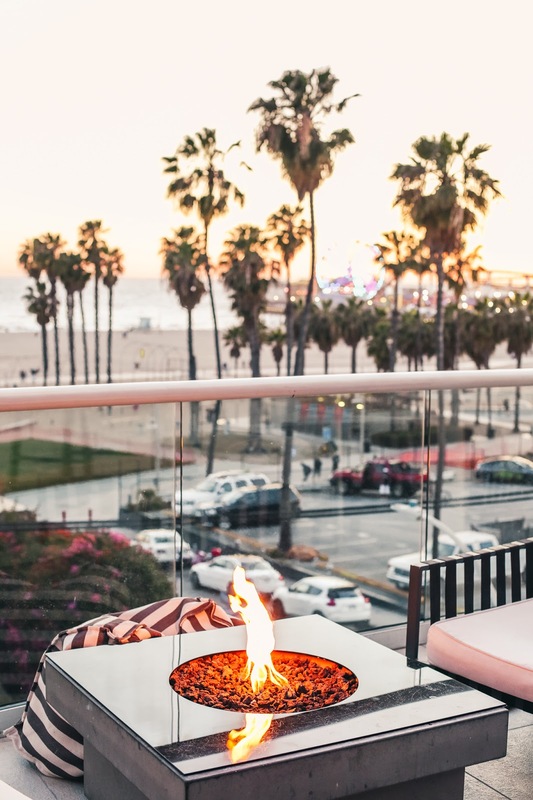 Fire pits at Loews Santa Monica - We were told that the fire pits at the Loews hotel in Santa Monica are beautiful and couldn't resist sitting outside as we watched the sunset with a cocktail or two. We then wandered down the pier which again, is beautiful on a warm evening. Abbott Kinney - The following day it was all about exploring the local area. 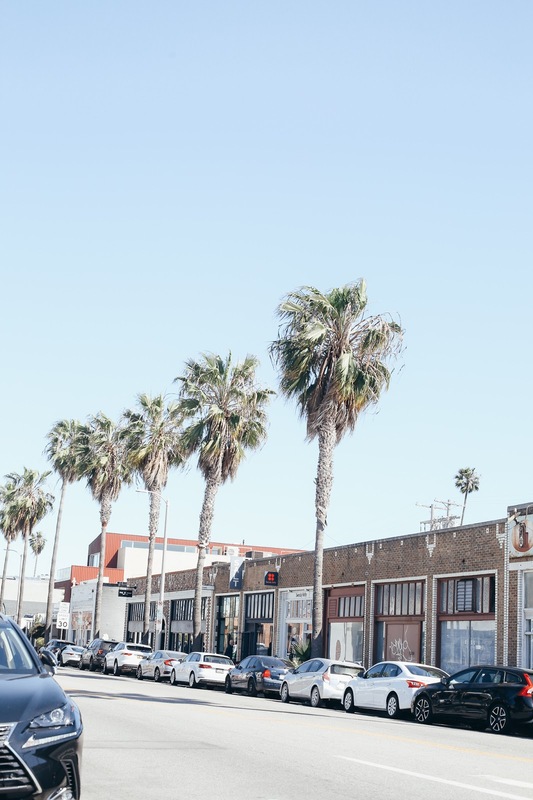 I personally don't really like Venice beach and find Santa Monica a lot more picturesque, plus we spent most of our time eating and shopping on the beautiful Abbott Kinney. A beautiful palm tree lined street of the best shops and restaurants. Make sure you head to my favourite, Urthh Cafe for a boboa sunrise drink and their wholewheat waffles then head to Lemonade for a fresh drink. The Butchers Daughter - If you read my ultimate visitors guide to New York you'll know that I absolutely adore The Butchers Daughter. If you're in Santa Monica, I'd highly recommend visiting the LA branch because it's such a charming and beautiful little cafe/restaurant.